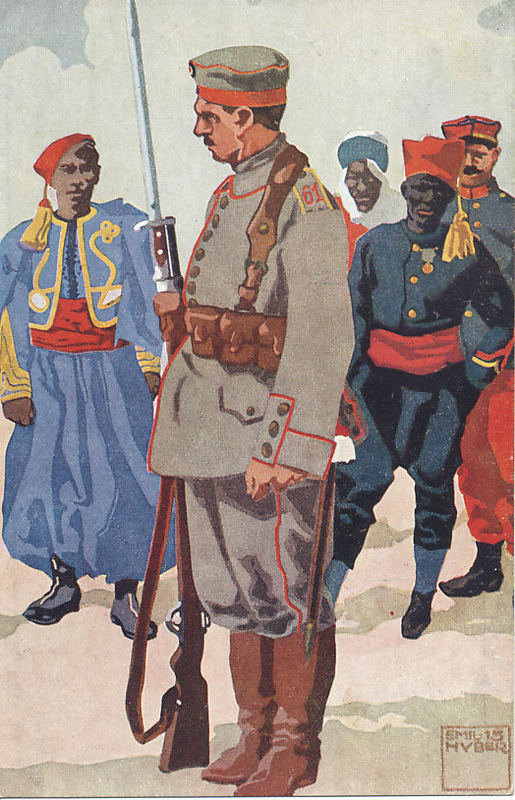 Postcard of a German soldier guarding French POWs, most of them colonial troops, the colorful uniforms of a Zouave, Spahi, Senegalese, and metropolitan French soldier contrasting with the field gray German uniform. A 1915 postcard by Emil Huber. "The repeated attacks to which the Russians have been treated in covering Warsaw on the Bzura line during the last ten days are only a feint. 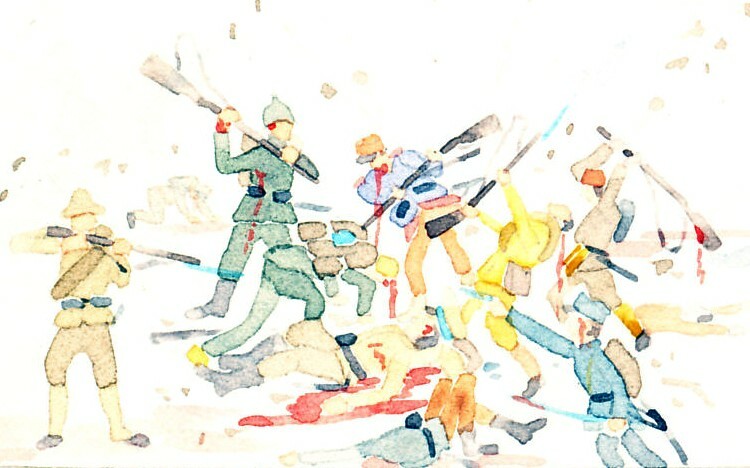 All indications point to the fact that the Germans have concentrated in East Prussia everything necessary for a very violent offensive, under the pressure of which the Russian line is already wavering." Entry from the memoirs of Maurice Paléologue, French Ambassador to Russia, for Friday, February 12, 1915. Russian commander Grand Duke Nicholas continued to claim he was ready to resume his offensive on Berlin when he had adequate ammunition.